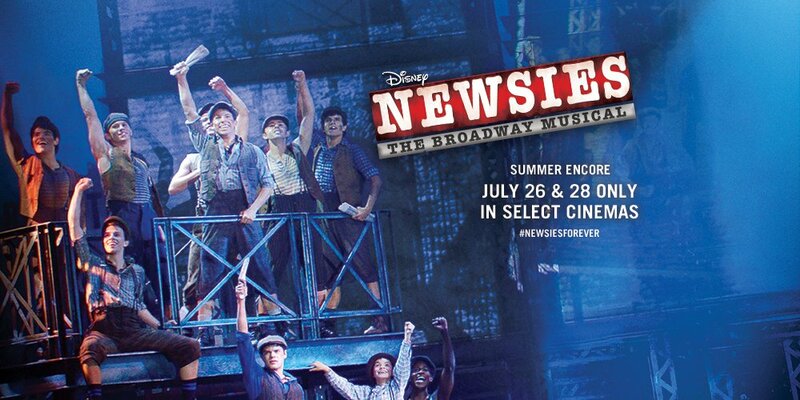 Anyone else going to Newsies Summer Encore tonight or Sat?! I'm going tonight! I saw it in theaters the first time it was so fun! Whoop-hoo!! I just got a last minute invitation to the opening night of Pretty Woman on Thursday!! Don't hate. "Please keep in mind that our lovely Nederlander Theatre is small and intimate. Because of this, seating is quite a challenge, and there is a huge demand for tickets. Please keep an open mind and enjoy this evening to celebrate our special show." I translate this to mean the following: "Your seats are going to be in the last row of the balcony, all the way on the corner, with the tallest man ever born sitting directly in front of you." But hey, I'm not complaining. This is a really fun video. They call it the "try not to sing along challenge". I think a better challenge is to see if you can name every show in it. Either way, it's a lot of songs. Broadway actress Marin Mazzie has just passed away after an epic battle with cancer, at just 57. I'm devastated by this news. Here are a few clips from her amazing career. RIP. And Judi Dench and Idris Elba just signed on. It's almost as if the producers have serious dirt on every one of these people to get them to agree to be in it. Of this adaptation will be something special that we aren't currently visualizing. Maybe it'll be done in Flash animation, otherwise, Dame Dench will need to practice her high kicks. How was it?!? It looks interesting! Is it a giant puppet? Yup. Giant puppet. See below.